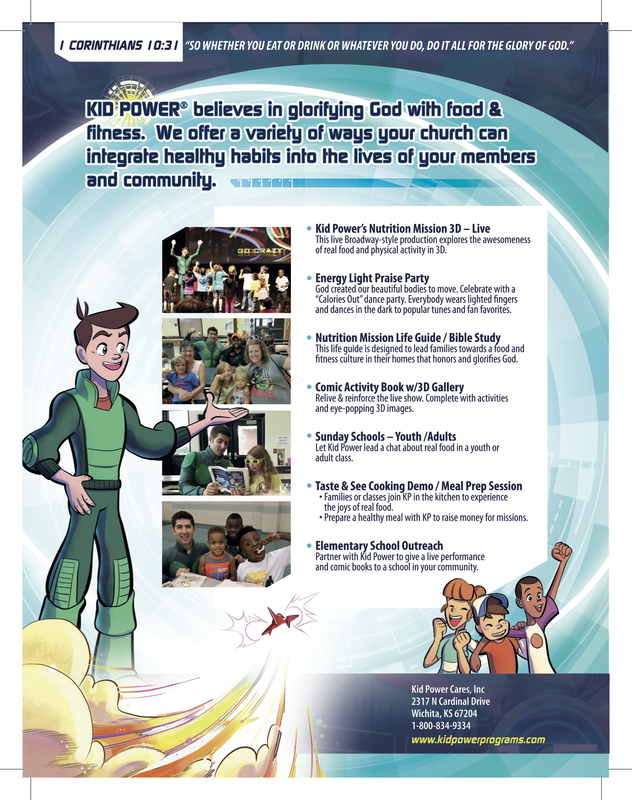 We offer a comprehensive Kid Power Nutrition Mission designed to help faith-based audiences place Jesus at the center of daily food choices and physical activities. This multifaceted experience partners our main stage 3D production of Kid Power’s Operation Lunch Line 3D with a family Bible study, small group classes, cooking demos, activity stations, and praise parties. Go Beyond the Mainstage PerformanceKid Power’s Nutrition Mission is designed modularly to allow churches to custom build their Kid Power experience for a variety of public, church, and community events.